CATS (Charlotte Area Transit System) LYNX Blue Line. 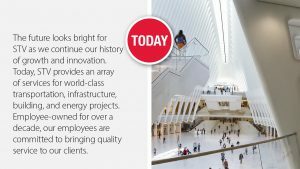 The past year has seen the completion of four projects in the U.S. 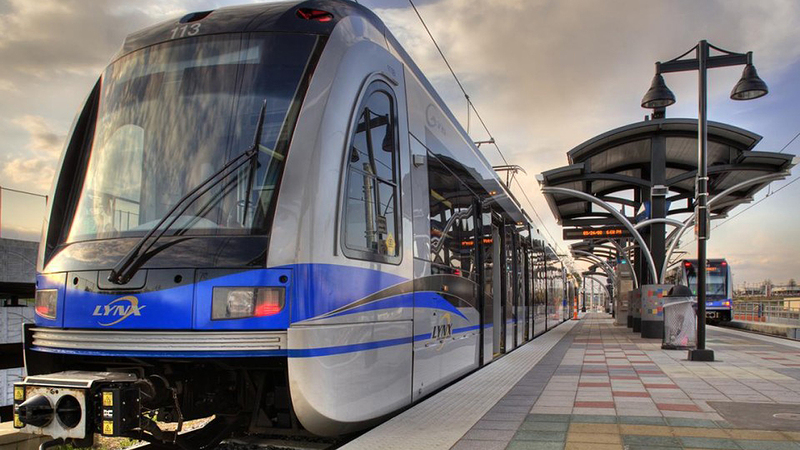 The Charlotte Area Transit System (CATS, North Carolina) LYNX Blue Line Northeast Corridor, a 9.3-mile, 11-station extension that cost $1.16 billion to implement, opened in March last year, and is expected to double the system’s ridership. In May 2018, northern california’s East Contra Costa BART Extension Project (eBART), a 10-mile line between Pittsburg and Antioch, was commissioned. In Texas, El Paso’s 27-stop, 5-mile heritage streetcar line, serving the city center, entered service in March. 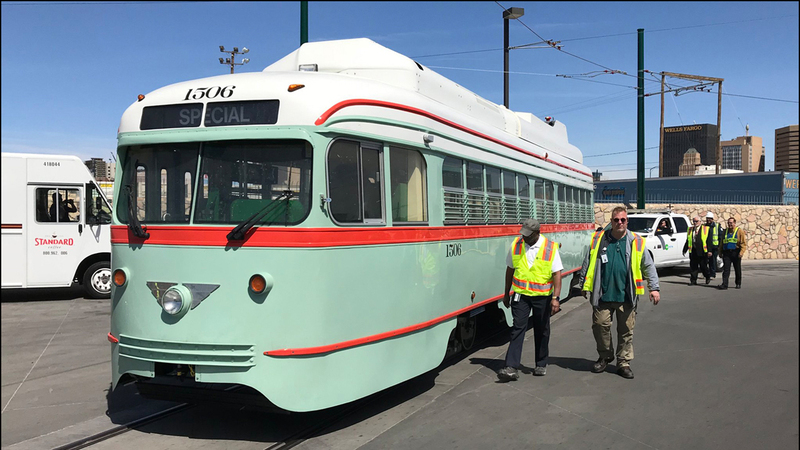 Services on the line are operated by a fleet of six vintage PCC cars that were fully restored and modernized by Brookville Equipment. Milwaukee Streetcar, also known as “The Hop,” opened to passengers in November. El Paso (Tex.) streetcar with rebuilt and modernized PCC cars from Brookville Equipment. 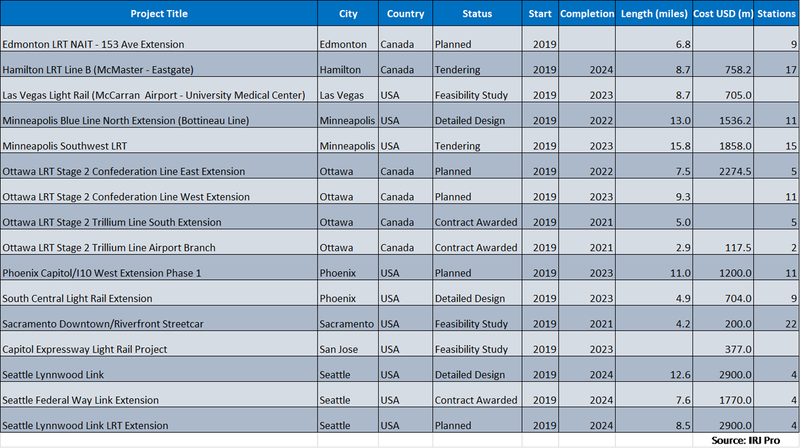 Currently, 18 projects are under construction across the U.S. and Canada. Toronto’s $C5.3 billion Eglinton Crosstown LRT is one of the most prominent. 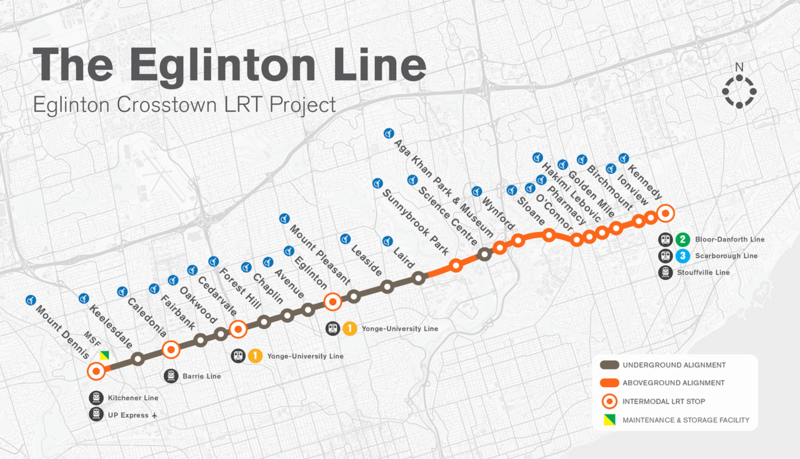 The 11.8-mile line will run east-west along Eglinton Avenue, with a 6.2-mile underground section serving 25 stations. GTHA (Greater Toronto-Hamilton Area) public transport authority Metrolinx and Infrastructure Ontario have signed a $C9.1 billion, 30-year alternative financing and procurement (AFP) contract with Crosslinx Transit Solutions, a consortium of ACS Dragados, AECON, EllisDon and SNC-Lavalin, to finance, build and maintain the line. Financing for the project is being provided by National Bank Financial and Scotia Capital as underwriters, together with Alberta Treasury Branches. Seattle’s Eastlink LRT is another substantial project; it’s due for completion within the next four years. The 14.5-mile, 10-station line will branch off the existing north-south line. The $3.68 billion project has been granted a $1.3 billion loan from Federal Transit Administration. Once completed in 2023, the line is forecast to carry up to 50,000 passengers per day. Washington D.C.’s Silver Line Stage 2 is due for completion in 2020. The 11.4-mile, six-station extension is due to cost $2.7 billion. The 16-mile Maryland Purple line is expected to be operational by 2022, serving 21 stations. Meridiam is a 70% equity partner in the project; CAF will be supplying rolling stock. 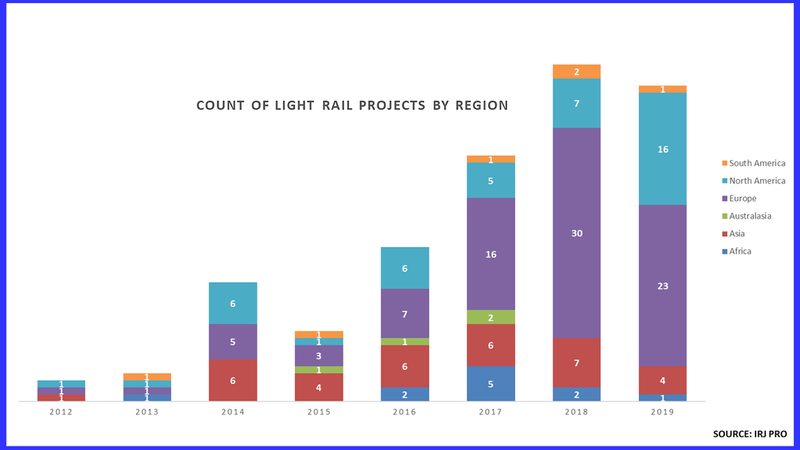 2019 looks to be a big year for light rail construction in the U.S. and Canada, with projects scheduled to begin work across nine cities (Figure 2). The $C3 billion second phase of Ottawa’s LRT expansion program will add 22.4 miles of new lines and 22 stations to the capital’s urban rail network by 2023. Stage 2 includes an 8-mile western extension of the Confederation Line with 10 new stations, while also extending eastward 6.2 miles, adding four stations to the network. The third project included in Ottawa LRT Stage 2 is a 5-mile southern extension of the diesel-operated Trillium Line, which includes a 2-mile branch to Macdonald-Cartier International Airport. The extension will include seven new stations, as well as 3,500 park-and-ride spots. The government of Ontario has devoted $C1 billion toward the second stage, which will more than double the length of Stage 1, the 7.8-mile east-west Confederation Line. Stage 1 of the Ottawa LRT was due to open in 4Q 2018, but due to a six-month contract extension has been pushed back to mid-2019. The extension was due to the construction consortium Rideau Transit Group (ACS Infrastructure, SNC-Lavalin and EllisDon) missing two handover deadlines. Stage 1 will serve 13 stations and involves the excavation of a 1.6-mile tunnel that will run underneath Queen Street in the downtown area. Construction began in 2013 and is expected to cost $C2.1 billion. Alstom was awarded a $1.5 billion contract to supply 34 Citadis Spirit LRVs for the line in early 2015. Seattle Sound Transit Lynnwood Link Extension. Sound Transit’s (Seattle) 8.5-mile Lynnwood Link Extension is expected to enter construction this year. The project is intended to alleviate congestion in some of the most heavily used highway corridors in Washington State. The line will serve four stations and provide 2,650 parking spaces. The project is estimated to cost $2.9 billion, including rolling stock. 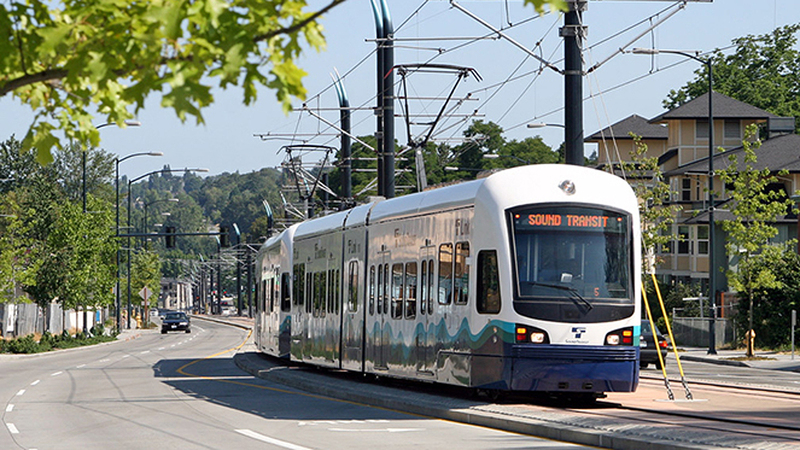 The project secured local funding through the voter-approved Sound Transit 2 Plan, and the FTA is expected to contribute $1.2 billion in funding through its New Starts program. The line is forecast to carry up to 74,000 passengers per day by 2035 and offer a 28-minute ride from Lynnwood to Downtown Seattle. 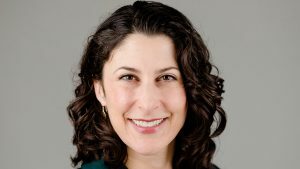 Sound Transit a $650 million low-interest federal loan, in addition to the FTA New Starts grant. The line is scheduled to open in 2024. 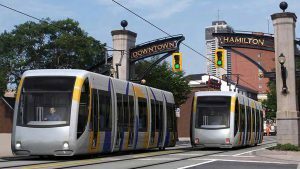 In Ontario, Hamilton Street Railway’s B Line is expected to enter construction this year. The 8.7-mile LRT will serve 17 stations, including interchanges with the city’s bus network. Stations have been designed to accommodate two-car trains as ridership grows. The project is expected to be completed by 2024. 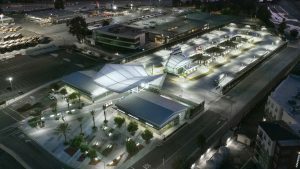 The Los Angeles County Metropolitan Transportation Authority (LACMTA) Crenshaw/LAX Line is nearing completion and due for commissioning later this year. 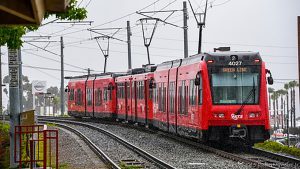 The 8.5-mile line from LAX to Crenshaw will serve the districts of Leimert, Hyde Park and Inglewood. The eight-station line was granted FTA approval in early 2012, and construction began on the $1.7 billion project in 2014. The line has come under scrutiny for not directly serving LAX, with the two closest stations around 2 miles from the airport. However, LACMTA last year began construction of a 2.2-mile people-mover to link the airport with the light rail line. It will be completed by 2023. Kitchener-Waterloo ION LRT Bombardier Flexity test vehicle. 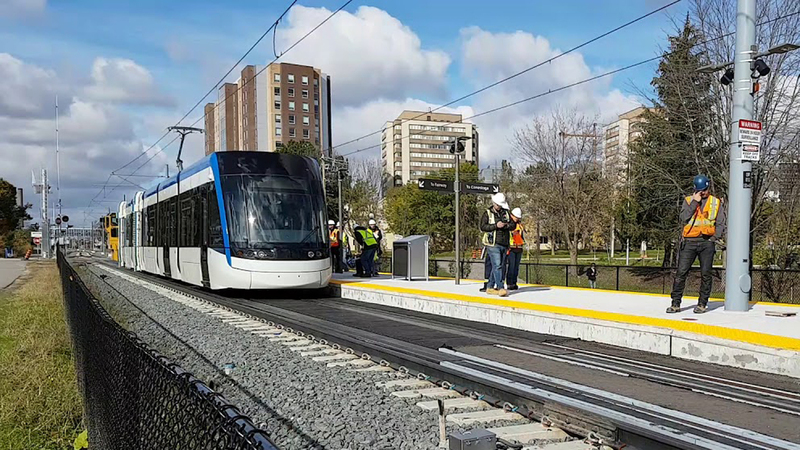 Stage 1 of the 11.8-mile Kitchener-Waterloo ION LRT in Ontario is expected to open in the spring, following delays of Bombardier Flexity light rail vehicles. The line will run from Conestoga Mall to Fairview Park Mall. It will have 16 stations, with park-and-ride facilities at two of them. The first stage also includes a 10.6-mile BRT system, which will later be replaced by LRT. Denver RTD is to complete its southeastern extension this year. The project, which will extend lines E and F by 2.3 miles, is estimated to cost $233 million. The $1 trillion federal infrastructure bill hyped by Donald Trump on his Presidential campaign trail two years ago appears to have faded into the background. The FTA has been sitting on $1.4 billion in funds earmarked for new projects; the agency has been reluctant to distribute funding, with only a fraction being allocated for transit projects in 2018. However, in November, the FTA announced it allocated $281 million in Capital Investment Grants to five projects in Arizona, California, Minnesota and Texas. At present, six LRT projects are awaiting grants promised in the federal appropriations bill signed in March 2018. Among them is Seattle’s Lynnwood Link Extension, which last year was scaled back due to rising construction costs. The FTA may be entering legally shady territory if the funds are not distributed by the end of this fiscal year. Under congressional mandate, 85% of the transit capital grant budget ($2.25 billion) must be allocated by the end of 2019. The remaining funds ($350 million) will go back to the U.S. Treasury if unspent after four years. If the transit grants are uncommitted by the end of 2019, it is possible that local transit agencies go as far as filing a lawsuit under the 1974 Congressional Budget and Impoundment Control Act. The slowdown in FTA spending can be seen as a symptom of the Trump Administration’s enmity toward urban centers and mass transit. However, the Administration’s anti-transit stance may be softened somewhat, now that the U.S. House of Representatives is controlled by Democrats. All data cited in this article is available on the IRJ Pro data platform. To gain subscription-based access to comprehensive data for more than 2,200 global projects and 1,400 fleet orders, visit www.IRJpro.com.